• You can now group your boards into classes. • Each board can fit into as many classes as you like. I love this app. When it works correctly. I wrote a negative review of this app during a long period of difficulty with using this app but I'm happy to report its fixed, and I am back to liking this app again. I would really appreciate a way to back up boards easily. 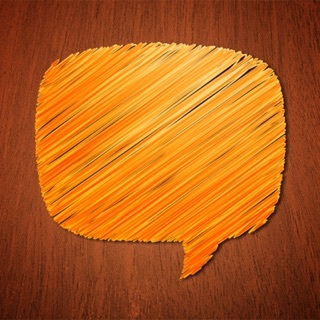 I used to love this app and use it daily in my work as a speech therapist. I gave a presentation to my colleagues and encouraged them to use it too. I made my own boards and shared them with parents, teachers, and other speech therapists. I was the biggest cheerleader for this app, even through the glitches. And there are glitches. If you are aware of any other glitches / user experience bugs or problems you would like us to address, please email me at support@happymooseapps.com. As an SLP, It was a great app that I used multiple times a day. Since the update there are so many things wrong. I lost everything but luckily had all my boards in the Bitsboard catalog so I was able to re-download. However it was inconvenient and I lost opportunities to use it with several of my patients. Since the update it appears that I have to be connected to the internet to use the app which I very much dislike because I typically keep my iPad on airplane mode. This is also very inconvenient. Overall, not impressed with the update at all, hopefully Bitsboard will do some tweaking and make the app positive again. We just released version 36.7.1 which includes improvements based on the feedback from a lot of our users. Unfortunately, I am still waiting for your email so that we can incorporate your feedback too. Hope you check out the update and let us know your thoughts. Did you manage to upgrade to v36.6.1? The problem with having to be online has been solved. Would love to hear what other frustrations or problems you are having so that we can improve the app and help you in any way possible. Thanks for your feedback! First of all, YES we will make it possible to use Bitsboard again while the user is offline. This is our top priority and will be fixed in the next week or so. You said that overall you are not impressed with the update... please send us an email with detailed feedback of your likes and dislikes so that we can keep tweaking and improving the app. Thank you very much for your feedback, help, and support. This app just keeps getting better and better. Your rate of progress is very noticeable and appreciated and I LOVE the fact that customer support emails get answered within a couple of hours and many within 30 minutes. This is an indispensable tool for my students. Easy 5 stars!